An astonishing miniature layout of Upstate New York circa 1950 is hidden in the basement of an RPI dormitory. The Rensselaer Model Railroad Society is is not open to the public. 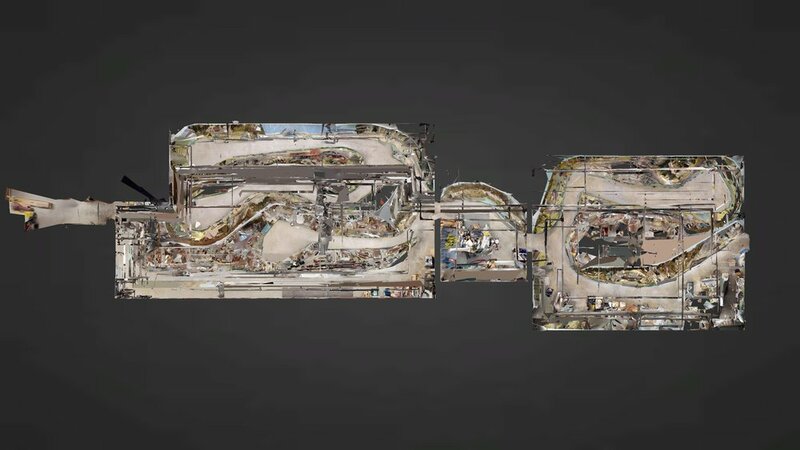 We hope our Virtual Tour can approximate the wonder of this unique installation. 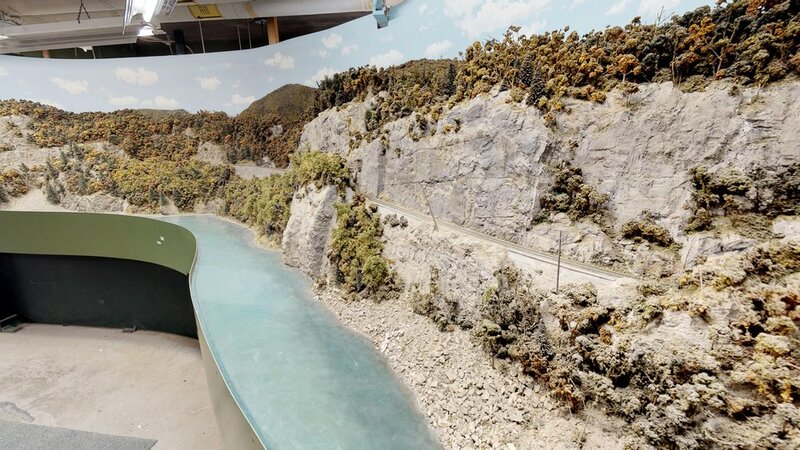 Since 1972, The Rensselaer Model Railroad Society has been constructing and refining an exhibit depicting the Delaware & Hudson and Rutland Railroads. 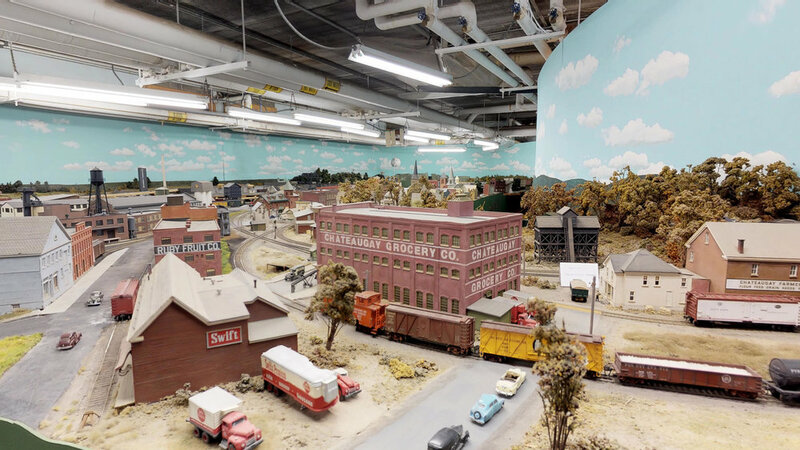 Set in 1950, the thirty-five by 120-foot layout represents life in Troy, New York and points north in the Hudson and Champlain Valleys. The 1950s were a period of immense change for American railroads and the places they served. The transition from steam to diesel power marked a massive reduction in railroad employment. Growth of automotive culture shifted the center of town away from the tracks and downtowns. 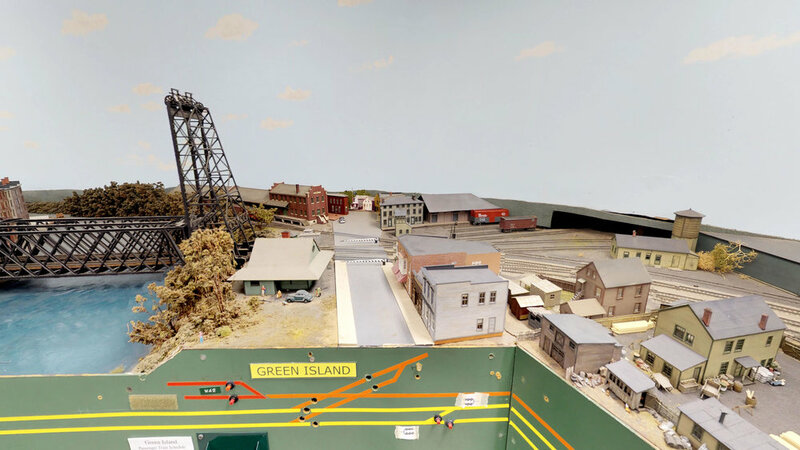 The exhibit captures the tail end of the railroad era - a time when railroads were the main movers of people and products and when most institutions were within walking distance of the tracks. Our fictitious railroad, The New England, Berkshire & Western follows the Delaware & Hudson and Rutland railroads from Troy, New York north, through carefully researched and modeled scenes from the Hudson and Champlain valleys to the Canadian border. The layout was conceived as a series of contiguous dioramas - each representing a significant place, geography or industry. The scenes were designed to be operated with model trains running end to end, following actual railroad practice. 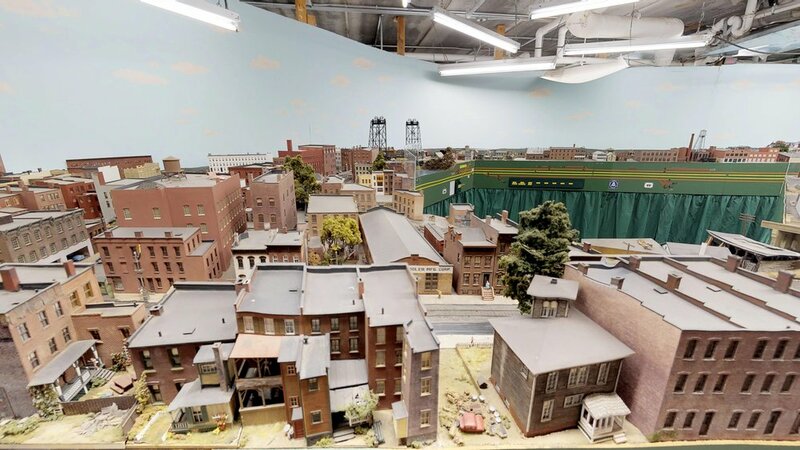 Each scene was constructed using photographs and interviews collected by members, railroad valuation photographs, Sanborn insurance maps and period United States Geological Survey Maps. The maps and photographs presented in Renselear alumni and photographer, Jim Shaughnessy's books Delaware & Hudson and The Rutland Road were particularly in influential selecting scenes and considering the play between railroads and the environment.